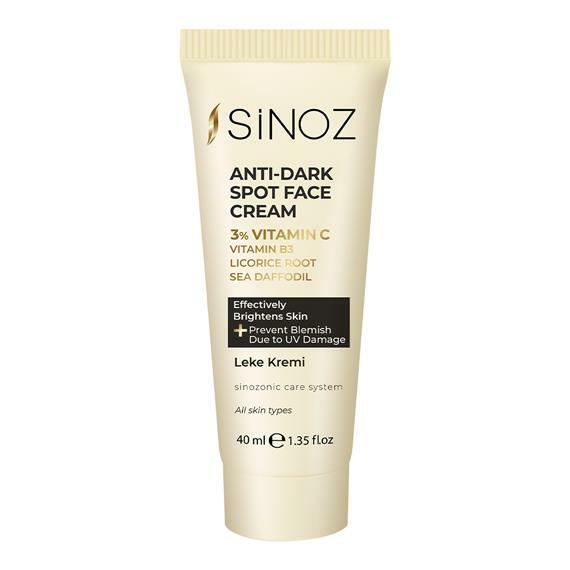 Sinoz Leke Kremi proved to be the right choice for a lot of people to have a smooth, silky and one-color skin that is free from sunspots, skin tone differences, acne scars and old age stains. Sinoz Leke Kremi succeeded to be the only stain cream with the Consumer Quality Award for the last 10 years and has been formulated with 100% herbal active ingredients and it is suitable for all skin types. Apply sufficient amounts to clean skin twice a day, circularly, except around the eye area. Reciever Fark Kozmetik San. Tic. A.Ş. Sinoz Skin Care Products; we offer skin care products that we produce against different needs of different skin types by bringing together the latest scientific researches and technologies. 2019 © Sinoz.com.tr · All rights reserved.